My name is Ken Sinclair and I was the colliery safety/training officer at Ellington Colliery (UK Coal) in Northumberland. I have currently spent 25 proud years in the mines rescue service (10 years as a full time brigadesman at Ashington). I have numerous friends both working and retired brigade members and also photographs dating back to before the war years. Also I have quite a lot of photographs and memories especially when I joined the rescue service in 1978. I am still retained as part time (team captain) but at 46 the medical does not get any easier! Ashington rescue station was also used as an ARP station during the war, and I have some photographs. I think it is important that the history of the mines rescue service should not be forgotten. 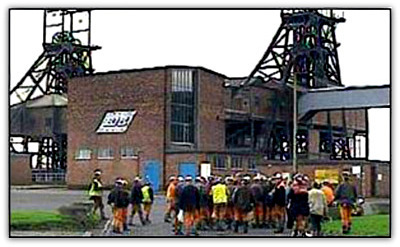 Just to give you a bit of my background I started work at Lynemouth Colliery in 1975 and joined the Mines Rescue as Brigadesman at Ashington in 1978 and lived in one of the 4 flats above the station. 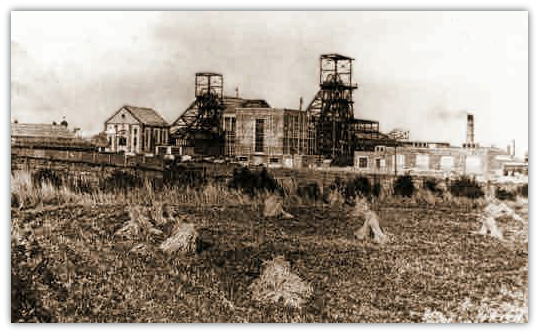 With the closure of the mines, the station was reduced to a 'b' scheme in 1987 and I was re-deployed to Ellington Colliery as Safety/Fire Officer. Ashington closed in 1988. I continued with rescue work as a part time brigadesman and team captain (attached to Houghton Rescue Station) until 2005 when Ellington Colliery was subject to flooding and was subsequently closed by the owners UK Coal. I now live in Widdrington Station, Northumberland and work for Durham City Council as their Health and Safety Manager. I spent the best part of 27 years in the Mines Rescue and can honestly say I enjoyed every single moment. I have all the long service awards. I can certainly recall the older Brigadesmen talking about Billy and Mark but I never actually met them. Incidentally, a chap who will defiantly know them is Jackie Todd who worked at Ashington (he started his rescue career at Houghton Rescue Station and was at the Easington Colliery explosion in 1955) He is still alive today, living in Ashington and still playing the odd round of golf with my father in law! As it happens when the station closed I managed to 'borrow' a few old black and white photos of the station and I have also got a fair few that I took during my time. I am currently recording my memories of my life in the Rescue before I get much older and forget! Possibly Billy or Mark could be on some of them. I always said I could write a book about the place so as I get more time this will become possible. When the wife gets around to connecting the scanner to the PC I will scan a few and get them to you (may take a few months). In the short term I'll try and put a very brief history together with names etc and forward you this via email. I hope this will be of some help to you - Yes Viewlands is still there. (I always nicknamed it the goldfish bowl as everyone could see everyone else!) bet you found a few changes in Ashington-not what it was. It's so nice on a cold winter's night to browse through, bringing back so many happy memories that must not be forgotten. When I finish my 'record' of Ashington Rescue Station I will also forward this to you. Please contact me if you require any info on the mines rescue service in the north east. Yes please Ken, I want anything you can give, stories, pictures, cuttings anything. As you say Ken the history of the mines rescue, and the mines are important. Coal and the men who brought it to the surface, who died and who risked their lives made this country what it is today and I feel too much of it is being forgotten. I had a question about a winder, blue lights, the lot. It was seen in York recently, any ideas where it came from?